Ran Uruma can't wait to grow up and become a sorceress like her mother, so with the help of a magical pair of sneakers, she transforms into an adult and sets off! Her father and older brother Jin try to keep her home safe, but Ran is determined to advance her powers and have adventures of her own! With Ran's powers growing stronger day by day, Grand Sorceress Shizuka decides that it's time for Ran to begin her sorceress training and sends a master instructor to the human world to look after her. Meanwhile, a deadly insect has escaped from the confines of the Gate and must be destroyed before havoc ensues! 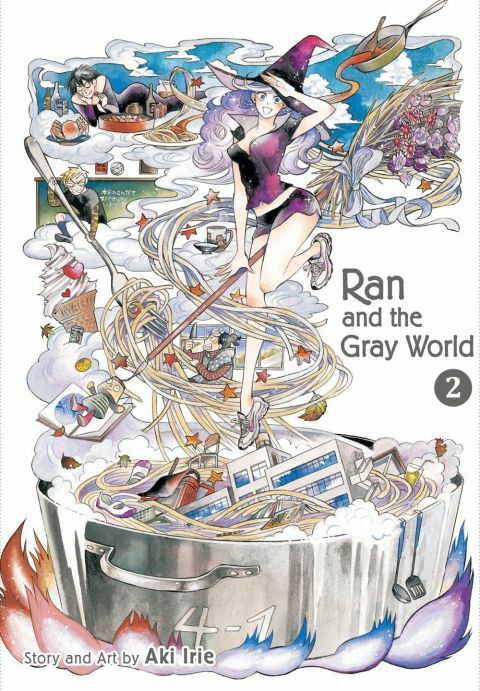 Other products for "Ran and the Gray World" in "Books"